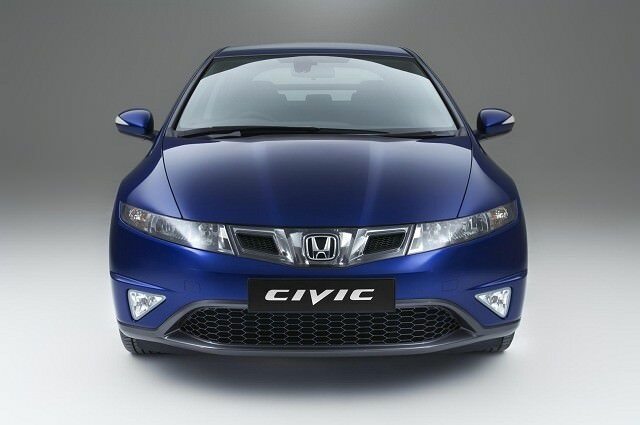 The space age styling of the Honda Civic means it will always stand out from the crowd. The cabin is equally eye-catching, and incredibly practical thanks to the tumbling rear seats and 485-litre boot – the latter by far the biggest in its class. Add in some sharp handling and proved reliability and you’ve got a winner. While the Toyota Corolla is the best-selling Japanese car ever, the Honda Civic isn’t far behind – selling over 20 million worldwide by 2011. Despite sharing its name with a car dating back to 1973, the eighth generation was more cutting edge than retro – in fact the space age looks have been a double edged sword for the family car, both attracting and discouraging buyers in equal measure. When it arrived in 2006 the Honda Civic shocked the establishment, its wedge-like profile, split-level glass tailgate and crazy dashboard were like nothing else before. But behind the bonkers looks was a practical and well thought-out family hatchback, available with three, four or five doors and with a great choice of powerplants. The excellent 2.2-litre i-CDTI diesel engine is the pick of the range, being particularly refined and with punchy performance. Petrol-heads could do a lot worse than choose a Civic with the 2.0-litre VTEC unit found in the Type-R though – the naturally aspirated block produced 200hp at nearly 8,000rpm. Along with the sparkling chassis (which was actually slightly softer than that used on the previous model) it became a firm favourite with hot-hatch fans. Those looking to save the planet should opt for the Hybrid model, which uses a 1.4-litre petrol engine and electric motor for propulsion, the result being combined consumption of 4.6litres/100km, though the CVT gearbox may put potential buyers off. In 2009 the Civic was facelifted with changes to the design, trim and equipment levels, as well as the introduction of a new 1.4-litre petrol engine. The introduction of an all-new model in early 2012 means used values are sure to take a tumble. Honda is known for its petrol engines, especially the high-revving VTEC units, but with the Civic it’s the 2.2 i-DTEC diesel that is the pick of the range – it might not be the most efficient, but it’s incredibly smooth and refined. All models are well-equipped, but SE was the biggest seller. ES, SE-S (on the four-door) and LX topped the line-up and since the five-door looks equally as stylish as the three-door it would seem foolish not to choose the more practical model.